This is Part 2 of our series that features our Gluten-Less dough. Be sure to check out Part 1: How Your Facility Can Offer Gluten-Less Dough! Imagine getting in on Google stocks when they first hit the market. Imagine cashing in on the Bitcoin craze of 2017. Imagine being on the ground floor of the next Apple. If I had done any of these, I wouldn’t be writing this content! Well, now is your chance to gain a leg up on your competition in the foodservice industry. There’s a growing market in our industry that has yet to be capitalized on: consumers looking to eliminate or greatly reduce their gluten intake. Gluten-free sales have nearly tripled in the past few years. And no, this isn’t because the number of people diagnosed with Celiac Disease has increased greatly. In fact, the rapid increase is mostly due to consumers who aren’t Celiacs. A recent study shows that 72% of people who avoid Gluten do so by choice, not necessity. Check out some more stats here. That’s why DeIorio’s is introducing our Gluten-Less dough. This wholesale frozen dough is gluten-free and offers our customers the chance to feed this growing market. We understand that the food service market is stacked with fierce competition. Gas stations and convenience stores don’t just compete with one another. Pizzerias don’t simply compete with other pizzerias. Every facility competes with any other joint in town that serves food – not just pizza! We don’t want your customers to think of you as just “a place to grab a quick slice once in a while” (and neither should you). Instead, we want your customers to view you as a prime source for lunch and dinner that everyone can enjoy on a constant basis. That means you have to provide a product that they love, a product that they trust. Unfortunately, when people hear gluten-free, they tend to think of poor quality and less-than-satisfying taste. True, our goal at DeIorio’s was to create a gluten-free pizza dough. But that didn’t mean compromising the taste that our customers (and their end users) have come to love. In fact, a recent taste test survey actually indicated that people enjoyed our gluten-free dough more than or the same as regular pizza dough. A gluten-free dough with more taste? That’s why we say “Less is More” with our Gluten-Less dough! Not sure how to create some of these masterpieces? That’s fine! Check out some of the recipes below. Remember, who says gluten-free dough has to be boring? 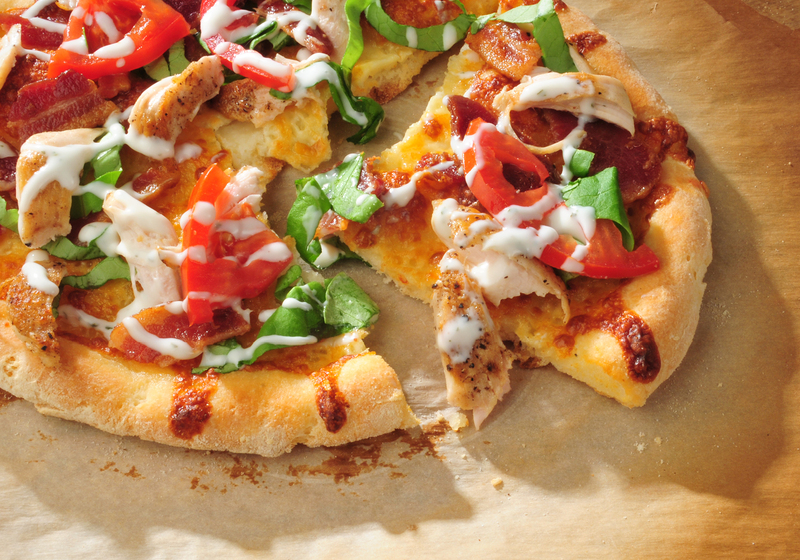 Those simple recipes offer just a glimpse at how easy our Gluten-Less gluten-free pizza dough is to work with. DeIorio’s understands that your facility could endure frequent employee turnover. We made our product easy to work with to keep your lines moving (and coming back). Repeat customers are key for any business. Treat your customers to tasty menu items like the ones above, and they’ll be sure to keep coming back for more. This growing market of consumers who are reducing gluten from their diet isn’t going anywhere anytime soon. Don’t miss out on it and let your competitors get ahead! For more easy-to-follow recipes and additional Gluten-Less content, subscribe to our blog and be sure to follow us on social media! If you have any questions on pricing, nutritional information, shipping or more, please contact us today. Our team is happy to help your facility offer your next big menu item hit!